I concluded my review of Mihaela Petrov’s previous book on Victor Brauner with the phrase: “The interpretative effort seems to be still ahead of us.” Petrov’s essential contribution to the scolarship on Brauner was to insist and develop on the idea of the connection between Brauner’s self-interpretative texts and his painted work. 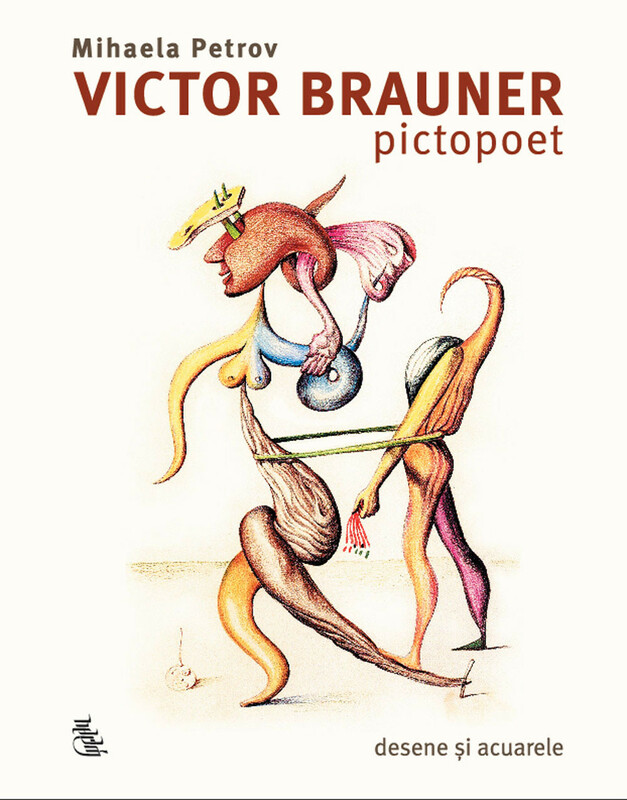 The title of the new book (Victor Brauner pictopoet) suggests the same logic of interpretation (establishing links between text and image), and indeed, one will find in the volume several references to Brauner’s letters, notebooks and interviews that tried to explain to himself and to others how elements of his art were interconnected from his specific point of view. The interpretative part of Petrov’s previous book consisted of 27 pages, now it is extended to 94. This means that the author was able to go deeper into the analysis of Brauner’s works and was able to refer to the existing monographs and catalogues on Brauner in a scholarly manner. The much more frequent bibliographical references of the book include here (besides the self-interpretations of Brauner) to a greater extent also the ideas of Breton, Jouffroy and Alexandrian and of those who edited previous catalogues of Brauner’s works. In this way, the target audience of the current work can be identified as slightly different from the previous one. While the former book included less references of art history, Petrov’s new effort (initially, a PhD thesis completed in 2011, as it is mentioned also on the cover of Victor Brauner pictopoet) is a much more “scholarly” publication. The visual material included into the book is also different in nature: here the visual part consists of watercolours and drawings – in many cases, sketches of well-known oil on canvas paintings by Brauner –, while the previous book worked also as a representative catalogue of Brauner’s painted work. This means also that specialists of surrealism and of Brauner’s work will appreciate much more this new publication because of its lesser known (or sometimes unknown) reproductions and because of the insight that it offers into the “backstage” of Brauner’s work. Many of the reproduced works come from the Galerie Samy Kinge and its archives, several others coming from the Musée Saint-Étienne Métropole, Musée Cantini – Marseille, and also from MNAM Paris. The interest of the Gellu Naum Foundation in the publication of Petrov’s work can be easily explained – Gellu Naum was one of those surrealist authors whose way of thinking was closest to Brauner’s vision of the world. Gellu Naum the poet meets through this volume once more Brauner the painter. Although other possibilities of examining the idea of “visual poetry” in a historical context are not developed in this volume, neither a further contextualization of Brauner’s work in connection to other surrealist painters like Ernst, Chirico, Matta or Hérold (suggesting once more the “uniqueness” of Brauner’s art, which is true in many ways but not entirely), we should consider Mihaela Petrov’s book an important step to a better understanding of Brauner in Romania.